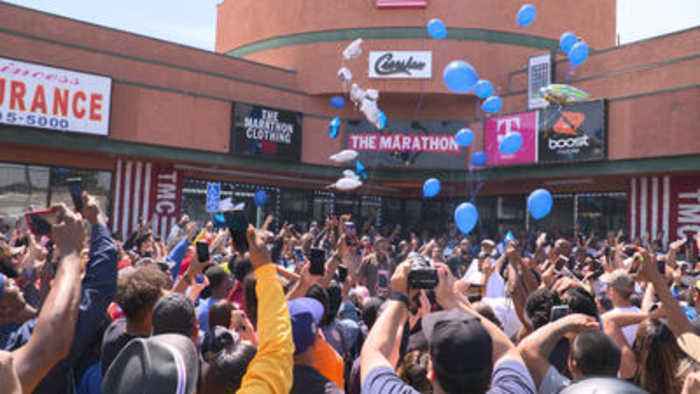 Fans gather at Marathon Clothing to reflect on Nipsey Hussle's involvement and influence in the community. 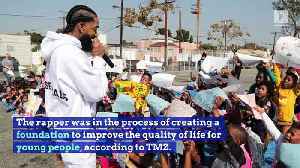 Hussle was fatally shot outside his store Sunday afternoon. 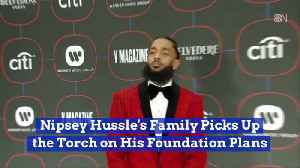 Nipsey Hussle's Family Picks Up the Torch on His Foundation Plans Nipsey Hussle was planning to give back to his Crenshaw, LA, neighborhood before his death. 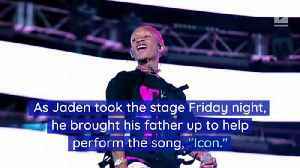 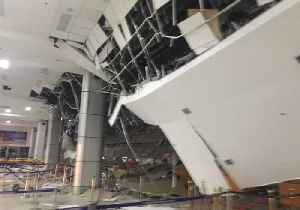 The rapper was in the process of creating..
Nipsey Hussle practically lived some days at his Marathon Clothing store, and it's where he would ultimately die. 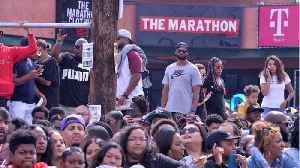 Fans of slain rapper Nipsey Hussle gathered at the corner of Slauson and Crenshaw streets in Los Angeles, California, on April 11 to pay their respects as his funeral procession passed. 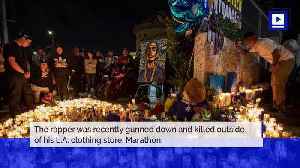 A memorial was.. 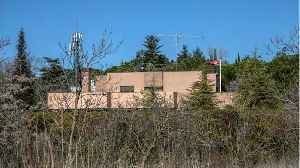 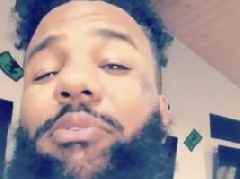 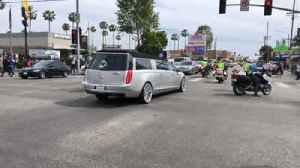 Fans crowded the streets on foot and bicycles, their phones out, as they vied to catch of glimpse of the silver hearse carrying the body of the rapper and entrepreneur, who was fatally shot March 31.. 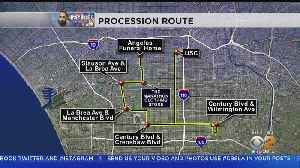 The route includes his childhood home and the clothing store he owned and where he was killed. Kandiss Crone reports. 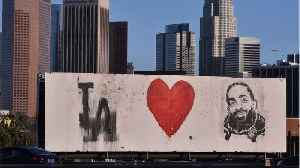 (CNN)Not only will the Los Angeles Staples Center be packed for Nipsey Hussle&apos;s memorial on Thursday, but throngs are also expected to line the streets to bid him farewell. 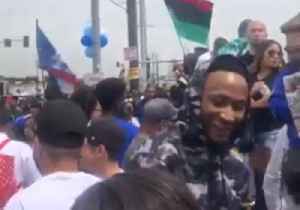 Called &quot;A..
Los Angeles Intersection to Be Named in Honor of Nipsey Hussle L.A. City Councilman Marqueece Harris-Dawson announced the Crenshaw and Slauson intersection will be named Ermias “Nipsey Hussle”..